A new proposal from the U.S. Fish & Wildlife Service would remove protections for the rare grey wolf across most of the continental United States, according to a Canadian report. It's one more step by the USFWS to leave wolves vulnerable to hunting and hovering around their absolute minimum number needed to survive. Though in the early part of the century the grey wolf ranged all across the northern half of the lower 48 states, from coast to coast, by the 1960s it was down to a tiny, dying population in a remote pocket of Minnesota. With the help of protections from the Endangered Species Act (ESA), its population grew to 1,700, spread out among the northern Rocky Mountain areas in Idaho, Montana, Wyoming, Washington and Oregon. And the renewed presence of wolves began to help the ecosystems return to a healthy balance, according to the Sierra Club. Since 2011, the USFWS has been trying to strip the wolf's protections and keep its population as low as possible while not technically being at risk of extinction. A population of 1,700, said Jamie Rappaport Clark, the president of Defenders of Wildlife, to the New York Times, "is really an unfortunate low bar for endangered-species recovery in the United States." In 2011, a rider stripped protections for the wolf in the northern Rocky Mountains; now, the USFWS is mulling a proposal that would finish the job. The chairman of the USFWS says, "[The grey wolf] is no longer endangered or threatened with extinction. The ESA has done its job. Broader restoration of wolves is now possible." The government would like to leave the continued monitoring of the wolf's population up to state and local authorities. But those authorities can be more easily swayed by local interests, like ranchers, who tend to overestimate the impact of wolves on livestock (it is minimal, nationwide). 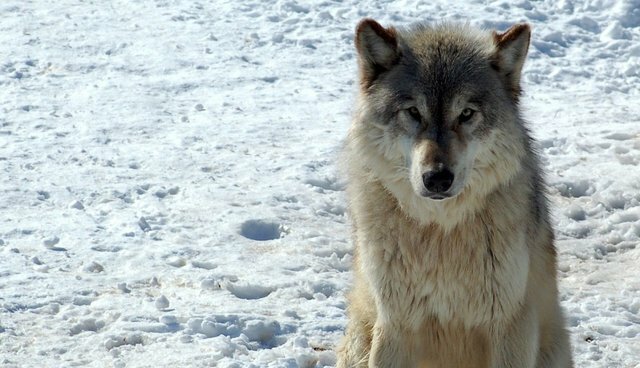 Removing protections would leave the wolf vulnerable to hunting. It makes it very unlikely that wolves will recover to places like the southern Rockies of Colorado and Utah, the Sierra Nevada in California and the Adirondacks in New York, all places that scientists have identified as having sufficient habitat to support wolves. It means that wolves will continue to occupy just a fraction of their historic range and at populations near the minimum needed for viability.